It takes around a minute for me to change OS. I guess I'm just used to it by now. Most the games I'm interested in have linux ports these days. I actually don't have to switch as much as I thought I would. 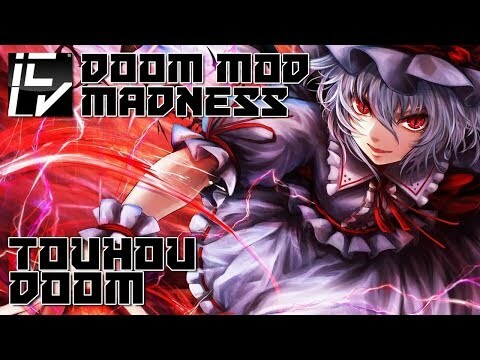 Do the 2hu games actually run okay in wine on linux? What about the video? Vsync? Input lag? I've played a few and they all run fine. they're all good. theres some community patch tools thing that also works fine in windows for translation patches and sync issues. the later ones break some unix window managers though- from at least DDC, probably a little earlier, I cant spawn a normal wine window with the game under cwm, hence the virtual windows desktop window trick,and putting it into a script with a switch so I dont have to remember every time. they all seem to run perfectly fine though. Yes, all of the games, even the newer ones run on wine. It was very fun taking down the big meanie bird. Make sure you have 3 other frens to play with. I've been playing Heroes of Hammerwatch with another /nen/fren! It's a pretty fun co-op game, you get to choose different classes and level them up and there's tons of items to pick up in the dungeon that can help you break the game! Highly recommended for playing with frens, if anyone wants to join us let me know! Terry got a new look! anybody else going to get monster hunter generations ultimate for the switch? I checked out the demo, I think some of the changes in MHW are for the best but playing online on MHXX is waaaaay easier. Not to mention a ton of users playing MHW on PC are experiencing CPU overwork and multiplayer disconnections. MHW on console has five minute quest loading screens apparently. I think denuvo is the source of the CPU problems on the port. The loading screens on console are completely ridiculous, especially considering how many you end up going through to play with a friend. I think I'll wait a patch or 2 before attempting hard mode. I hear some of the bosses in the current build are completely unreasonable. I'm thinking of playing MonHun World again, I never got past the spiky duragon. I got him. It wasn't that hard. I tried my hand at playing Simcity 3000 but ended up panicking 15 minutes into the game because the scenarios got to overwhelming, even the ones tagged as easy were too much. I'm not cutout for city management. 3000 was the one I skipped. I've never played scenarios in any Simcity either. When I do play, I just take it easy in the regular old mode. Used to play SimCity 2000 and SimAnt when I was younger. If I remember I'll try playing SimCity 3000 this week. I might go back to it and take it easy in the free mode, it's odd how I found this game so hard when I played all the Roller Coaster Tycoon games without issue and even aced the scenarios. Hopefully you'll enjoy the game more than I did. Unrelated but if anyone here isn't aware; RTC2 now has new open-source online support and it's really fun. Do you want to play rct2 with me? We can play xtreme heights map because I never completed it when i was younger. I'm looking for a cute nenfriend to play TF2 with me. I'm a beginner, though. If anyone wants host rct2 I will play with you. I can't play right now since I'm on vacation but maybe we can play together once I return home in October! I set one up and picked a land that looked easiest to build off of. I hope it's visible in the server listings. I posted the password wrong. Turns out my ISP won't let me port forward so I can't run any kind of server. I tried all that I could to get it to show up but unfortunately to no avail, gomen. Yes, if you can possibly get one up I would gladly join in. I tried to download the gpl roller coaster but it said I still need the original files, where do I get those? Or do I have to buy the steam one, and if so which version? I went to bed but I'm open all night/day today since it's Friday so I'll try to join again. The GoG version is the one I use but the steam one would work just as well. I'm on the server now. Violet Detector is coming out on Steam in a few days. I will get it but maybe not as soon as it releases, it took some time for the others to get an English translation. I called the wooden coaster "Yukari's Gap" but no one wanted to go on it because it was too intense. Forgot to say that I ended up getting people on it by cheating so they would ignore intensity ratings. does /nen/ still plays Tree of Savior? Dead Air is a good STALKER Mod. its standalone, not a modification you apply to your copy, on an open source version of the engine and its all the maps from call of pripyat and shadow of chernobyl, with gameplay stuff from MISERY but none of the stupid grimdark dialogue or turning everything brown(especially not if you install the summer vegetation textures patch). Exactly what I wanted. My only complaint is that it seems like every random STALKER in camp has some kind of job they want to pay you to do and it all feels too video-gamey-npc-questy. I have not played Misery or any stalker mod. How much of the game does it change? it adds a bunch of survivalist-camping sorta stuff, makes environmental hazards more deadly, guns more lethal, makes stuff more expensive, equipment condition, a system for repairs, and some other stuff, with the end result of survival being more difficult. Its fun. However, like I say, the base version unfortunately turns the graphics brown and makes stupid dialogue changes. Not so in Dead Air. I got a copy of Binary Domain if any /nen/fren wants it! It's a game about shooting robots! That's a neat game, but to get the most out of single player you need to use voice chat. You only get really basic commands otherwise. There's also a co-op mode but it's a little dull. Shadow Warrior 2 is free on GOG for a few more hours. If you only care about single player, then you can just download the DRM-free version. For co-op, you'll have to use their Galaxy client. Does anyone know of any cozy games? Or, just games where I can interact with interesting characters and use them as surrogate friends. Apologies if this type of post is too sad for the vibe of this place. It's okay, you're with your frens here. If you want to, you can just interact with your frens right here! Thanks, but I would rather have a game. Any of the Atelier games! Animal Crossing? Harvest Moon/Story of Seasons? When does Atelier Ceci come out? We're getting the Atelier DX versions in December! Not sure about the new one though. Where does one start with the Atelier games? I am thinking of getting Atelier Lydie & Suelle but I don't know if that is good to start with. Maybe Rorona and follow them in chronological order. Sorry Okinawa. At least your anime girls are still top tier. It's good so far. I don't think I am missing anything either, it seems not to be following on from any other game. I hope more info is revealed soon. 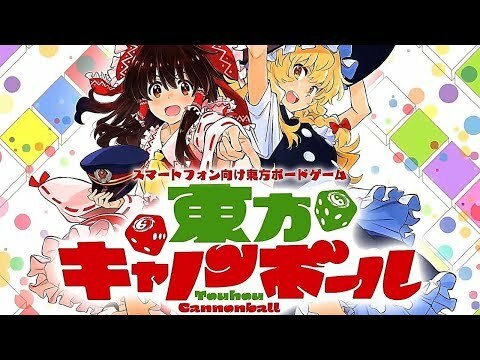 ZUN said he didn't want the game to have a gambling element. But the combat looks nearly identical to every other gacha game. I'm going to play some Alien: Isolation, if you haven't played that it's super spooky. I'm gonna pick up Gal Metal, hoping it'll be a fun and lax experience. Murderous Pursuits is free on steam for a few days. It's like a faster paced sequel to The Ship, made by the same developers even. Wish I could help. I don't really find horror games spooky. The spookiest thing for me were those factory segments in STALKER. 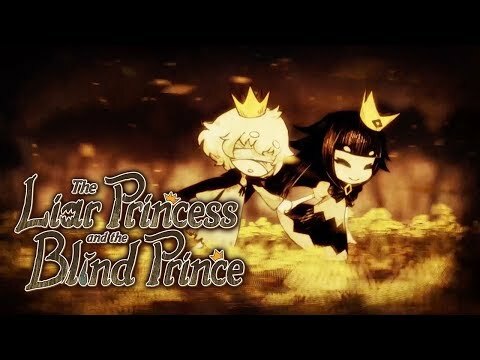 cute free game made with RPG Maker VX Ace! that description doesn't sound very cute... she doesn't get hurt does she? She gets "punished" when you answer riddles incorrectly, that's all. The beginning is cute though at the least. Joking aside it just cuts to a game over screen, the horror has been pretty tame so far but I might be bias because I finished Silent Hill 2 and didn't find it too scary. Is there anything special about Atelier DX if I have the Vita ones already? I'd think first person danmaku would be pretty difficult. Can be depending on the players skill the Koishi stage is utter hell though for any skill level but that's Koishi for you. This is pretty silly. I might have to give it a shot. Have you heard of Sonic Robo Blast, the Sonic fan game made on the doom engine? They released a kart racing version of it yesterday. It claims to have a 100 tracks which seems pretty impressive. I am want Sekiro: Shadow Die Twice and Doom: Eternal, meow. Maybe Risk of Rain 2, but my old co-op friend doesn't really play games anymore. I've heard of the sonic game but not this racing one, gotta check it out. I didn't know that was possible but she can read minds., I never did beat that stage. Started my first touhou games. I gota random one on my phone and then i got 16 today on steam and i am having a lot of fun! Good luck on your 1CCs! The Atelier DX versions are out! I tried getting into these games a while back but couldn't. It's unfortunate because it looks adorable at times. I hope fans of the series enjoy the upcoming games.. I wonder if this means Persona 5 port is coming to the Switch. I've been playing Smash Bros Ultimate all weekend. I'm really addicted to the Spirit Board mode right now. It has so many characters from different video games, I just want to collect all of cute and cool looking ones, even though most of them don't do much. My switch just came in the mail today and I played a bunch of smash bros after dinner! I really like isabelle and robin so far! I also played some mario kart which was really fun. I haven't had a nintendo system since the original wii came out, and the one I had broke so I barely played any games other than the zelda, so I'm having a lot of fun, but theres the mario and zelda I want to get, and mario party comes out soon and theres so many fun games I want to try! I've been playing Valkyria Chronicles 4, I don't really like it though. It's quite silly, the characters and not great and it seems more westernised. Only one month left... Anyone looking forward to AC7? I'm extremely excited for this one, I never owned a console to play one of these games and now I finally have the chance. You could always emulate the earlier games assuming you have a decent PC. You might have to really mess around with the config though. Anyway I'm excited aswell. I didn't play the previous ones like Infinity or Assault Horizon because I heard they are pretty bad. This one looks like AC4 though so I'm sure its going to be good. Also really like how they are giving you the ability to preform cobra maneuvers, don't think you could do those in any of the games. I've never played any of them before, I might pick it up to try it. I'm looking forward to RE2 remake the most soon, I'm hesitant to preorder KH3 because I don't trust Square Enix these days so I'll hold off on that for now. No More Heroes: Travis Strikes Back seems to be a collection of minigames which I'm not sure if I would like. But I do want to support Suda51..
My final thoughts are jesus Atlus is milking Persona 5. 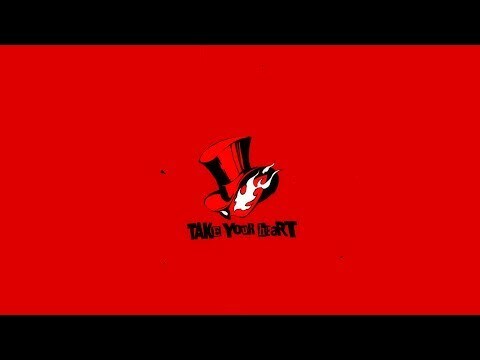 I feel kinda disappointed especially the announcement of Persona 5R or whatever. But one can argue they did the same for Persona 4 (my favorite) maybe even more. Is that gonna be like golden? If so my patience has finally paid off! Yeah, releasing bonus content after just two years.. I guess I'm kinda burned out on Persona content, it's just too much for me. I guess I'll stay away from the franchise for a while. I'm looking way more forward to a whole new SMT coming for Switch. I personally prefer owning a physical copy since I'm not a humongous fan of digital downloads or Steam in general. Also some of the listing prices for items (physical copies) can spike up after release if you don't preorder and secure it. At least that's why I do it. But I like to wait until after launch for games that I'm not sure about generally. You'd be surprised, people waited until midnight outside retail stores for Smash. As a collector I don't view things like that, I just simply like having a physical item I can actually touch even if it's not much. But I can definitely understand where you're coming from. AI cheating is NOT ii ne. It looks so good I can't wait! Only ten more days left! The Resident Evil 2 demo was really good, can't wait for the full game to come out! Does it plays like the other RE remakes? It doesn't use fixed camera angles, but it definitely plays exactly like Resident Evil 1 through 3. Currently I am playing Touhou Genso Wanderer Reloaded. It's nice, it is fully voiced though which I have mixed feelings about. Some characters it works for some it does not. It weirded me out when I played the new Zelda game and the characters talked in words instead of suggestive noises. Ace Combat Frens. I never played Ace combat but I want to get the new one, what is the advised platform to play it on? On one hand I think flight games are supposed to use PC so they can use lots of buttons but on the other hand it might be better to use a controller fr a more plane like feel, plus it is made in Japan so they might not be thinking as much about PC anyway. Ace Combat is an arcade style flight game, it's not really a simulator with millions of buttons. Think of it more like an action game with a fighter jet theme. The games used to be on console only and were designed for use with a controller and its limited buttons. If you play it on your pc-chan, you should be able to plug any sort of gamepad in and it will work (unless they completely break the pc port). You can get it on whatever platform you feel most comfortable with. I hope that answers your question! Personally, i really hope the pc port is good and let's you plug in like flight sticks and such, which could be a lot of fun. I really hope it's a good port. PC version comes out in two days so might aswell get that one. i wanna ask, what's everyone favorite ps2 game(s)? Shadow Hearts 1 & 2 (I think the first one was for PS1, but they are a continuous story). The third one is okay, but it is a new story and I don't think it was on the same level as the first two. I'm having a hard time thinking of games. Probably because I made the switch to PC gaming shortly after it came out. The games I played the most were the GTA and Dynasty Warriors games. The Dark Cloud games were alright too. I like SMT Nocturne, Devil May Cry, Fatal Frame, Xenosaga, and the .hack series. I never had a PS2. Today's 18 year old is younger than the PS2. I'm so happy about my favorite Zelda game getting a remake! Can't wait to play it again. Wow! I think I played that one more than any other Zelda game. It took me forever to clear the bottle grotto the first time because of that one room where you had to defeat the enemies in order, but the hint calls them by their names which is not very helpful if you don't know they are monster names. This is good. I always strongly preferred the old top-down sprite based Zelda to 3D Zelda. I've had no problem remembering that Pols Voice is the rabbit-like monster, but always got stumped at the part where you have to dig. Whats the consensus on that Touhou Gensou Wanderer game that got ported to switch and playstation? I'm intrigued but it's expensive as heck for a doujin gam and I already have Shiren the Wanderer. It's good, I like it. But yes, it is expensive with all the add ons. I finished DMC5. I still can't help but dislike the new art direction, and storywise I still prefer DMC3, but the gameplay in DMC5 is super fun and I'm looking forward to playing it on hard mode next. I found Nitori-anon on steam! I've been having fun with it, but I get the feeling I'm not playing it right. I enjoy the steady assassination of the regular enemies, but I feel that doesn't prepare/train me for the direct boss fights in the game, although those direct fights are so fast and intense they do make for a good change of pace. I might try a test where I just charge in openly towards every enemy and see if I enjoy that more. Hopefully that will keep my reflexes trained so I won't have to refight the bosses so many times. Same, the game wants you to parry nonstop and I'm bad at that. If it weren't for stealth backstabs I'd probably drop this game, doing minibosses are hard enough and if I couldn't backstab beforehand it would be muri. Also where are you guys at? I'm not really sure that I like it. I enjoyed Nioh more than I have Sekiro so far but I'll wait until I've finished the game for that comparison. Nioh came out 2 years ago and I don't remember that much about it. Sekiro is giving me an excuse to finally go back and do the DLC and NG+ for Nioh. One large problem I've had with Sekiro so far is the music. I don't like the soundtrack of the game at all. I have never had any problem with the other fromsoft soundtracks. Sekiro's music is so repetitive and doesn't match the action on the screen. It also plays all the time even when you are exploring. It made me sad but I finally had to turn it off. I've finished the Hirata Castle stage, then I had the choice of continuing through Ashina Castle or the Abandoned Dungeon. I chose the castle, since the other option would force me to swim in the water with some scary looking fish. I tried fighting enemies head on, which did seem to work for a bit, but now the enemies are getting tougher and I have trouble fighting two at a time, let alone anything more than that. The gameplay definitely seems built for intense duels between characters rather than fighting groups. I forgot to mention it before, but I think the upgrade you get to counter thrust attacks is the coolest feature in the game. I don't think I've seen a move as stylish as stomping down on an opponents blade. I don't think the soundtrack is bad. A lot of it sounds generic but the music for fountainhead is nice. The L1+B move? Its really hard for me to pull off I've only done it once or twice by accident. Its cool seeing people use it in boss fights though, looks really cool. I think he means the mikiri counter. It has an enormous window, probably one of the easiest moves in the game. I'm at the scary village. You need to do it towards the direction of the enemy. You can practice moves you've learned with guy at the clearing besides the dilapidated temple. It's one of the most useful skills to have since it deals hefty posture damage. Reached the Ashina Castle fork tonight and decided to go towards and kill the general but I got destroyed trying to make it up past the swarm of Nightjars. Yeah I do this but half the time I get hit anyway. And how can you even tell when an enemy is going to poke or sweep? He does that red alert sign before both types of attacks so if I'm not 100% focused I'm basically going for a 50/50 hoping he will poke. You just have to memorize which attack is which and hope the red alert sign doesn't block your view. The fire proof shield is really helpful. For the attack where a tonne of fire balls shoot out ideally you want to be far away and just run in a circle but if you can't get far away in time just put up the fire shield and spam deflect. I think the main thing to make him easier is to just stay under him and learn the difference between his strings so you know when it's safe to attack. Also in phase 3 he gets a special spinning move where he creates a circle of fire, but you can actually just attack him over and over again while he does it. I actually just now beat him. I didn't use this strat because I don't have the fire shield, instead I used the Malcontent Finger to freak him out a couple times and took him down. I made sure he didn't throw out a single fireball in his third phase. I've only played the first 2. I got all the endings in the first game but only cleared the second game once. 2 gets a lot of hate, but it's been so long since I played it that I forgot why. I'm really enjoying Sekiro now. I think the first area was really boring which is why I wasn't having fun early on. I also made a terrible mistake and must have played the levels out of order. The late game levels are much better. I had a teardrop the whole game without ever using it because I killed lady butterfly so early on and got to the heir so late. I didn't realize I could climb to the top of Ashina Castle to kill Genichiro Ashina and speak with the heir. It only took me 3 tries to kill Genichiro so I assume I must have really overleveled with the prayer beads before I fought him or he was that easy. When I spoke to the heir he had tons of dialogue about stuff and places to go I already figured out on my own. I just finished killing the big snake but then I went down in some scary hole and found another one! I haven't figured out how to get past him yet. The old lady gave me a hint as to how to get past the snake just like she gave me a hint for the kite. I got the two hearts but I don't know what to do with them yet. I did the Guardian Ape today and found the headless ape afterwards by complete accident otherwise I would have missed him on my first playthrough. They did at least give you a hint that he existed. It only took me two tries to kill it. I tried using the whistle the first time like I assume they wanted you to but it didn't really seem to help much. I played really defensively for the first phase and only attacked when he would get stunned during that overhead smash attack. For the second phase I just ran in a circle until there was an opening and punched the normal ape with the charged flame barrel like I did during the other ape boss fight for the first phase. It took huge chunks of his health and set him on fire. I only needed to do it 3 times to kill the normal ape then the kill on the headless one was free. I'm not sure if any nenfrens struggled with this boss or used a different strategy but it worked very well for me. I can't imagine there's an easier way to kill him. I also found a glitch by accident fighting Owl at the top of the castle. I don't know if anyone else has found this out yet but you can stunlock him in the corner for most of his health. If he backsteps into the door jam on the opposite side to where the idol would be after you kill him, he can be blocked into the corner and you can R1 stunlock him for a ton of health across both phases. If you miss time an R1 he can break out. It's pretty hard to get him in the corner though and probably isn't much use for the second phase. I decided not to use it to kill him and just deflected, counterattacked and deathblowed him normally. I didn't think he was that hard either other than the fact he kept getting his posture back when he was almost dead a bunch of times. The new Ace Combat is looking good! It's a secret dragon you can unlock in Drakengard! Reached what I assume is the final boss today where you unlock the same secret passage door you did in the prologue to fight the guy who cuts your arm off. Before I walked through the door I remembered that there was an idol I missed in the fountainhead palace area that I saw through the floor when I was treasure carp hunting earlier. I warped idol to idol looking around and swimming where the big fish was trying to figure out how to get to the other half of the fountainhead palace. I finally looked up and saw you could climb up on the roof of the tallest building. There's a lone tree branch over the waterfall that you can grapple to that's not immediately obvious. When I got over there I found the nice old man the nice old woman told me about before. It's mostly pointless but you can feed the big fish you swam past earlier and the old man will give you treasure carp scales. I finally had just enough scales to buy the very last item from the bucket man in the estate. I got a super secret item and a special surprise that everyone else probably missed! I guess I'll be ending the game with 9.5 prayer beads. I figured there's an even 10 total you can get so I must have missed two somewhere. I think I did a pretty good job exploring. I'm also pretty sure I'm going to get the good ending unless I missed something in the dialogue or item descriptions somewhere or wasn't supposed to help the girl. I'm going to stop blogging about the game now since everyone is probably sick of hearing it by now or already finished the game. Uhm it's clearly a dragon! It has wings and flies very fast and it spews fire too! Never heard of it, but it looks and sounds interesting. Can you recruit cute girls as party members? I've completed the ones on the SNES and Wii and I liked it very much. I've also played the Torneko and Chocobo dungeon series and those are good too.